The Fiestas de Noviembre is an annual event in Puerto Escondido. There are typically numerous events, with something happening almost every day during November and into the first week or so in December. Puerto Escondido is composed of two municipalities, one that includes Playa Principal and the downtown area and another in the Playa Zicatela area. Both municipalities participate in the Fiestas de Noviembre but the events are not coordinated. So there are often competing events taking place simultaneously in both areas. Zicatela events are often staged on Playa Zicatela just past Restaurante Sabor a Mar while the uptown events are often on Playa Principal or the municipal plaza or "City Hall" west of the playa. Ear plugs are a good thing to bring to festival events. Sometimes things get loud, very loud. Below will be a partial listing of events when they are available. 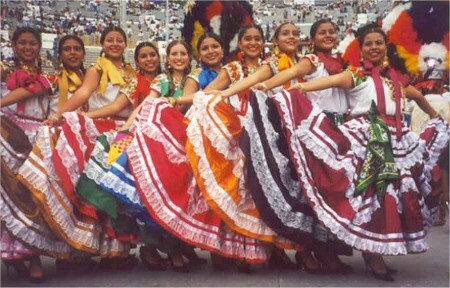 There are many, many events held during Fiestas de Noviembre. November 2, 3, & 4 7:00 am Tennis Tournament at Club de Playa Villa Sol. Saturday, November 3 7:00 pm Official Inauguration of the Fiestas de Novembre 2018 at City Hall. Free. Live music. Sunday, November 4 8:00 pm Concert with Alejandra Robles at City Hall. Also a brass band (kids). Sunday, November 4 7:00 pm Food Event on Playa Zicatela. Saturday, November 10 1:00 pm Food Fest at Playa Manzanillo. Saturday-Sunday, November 10, 11 10:00 am Motocross Tournament at Cerro de3 la Vieja. Entrance fee $100 pesos. Sunday, November 11 8:00 pm Concert with J. Balvin at Rotary Club in Carrizalillo. Free. Friday, November 16 7:30 pm Bohemian Night on Playa Zicatela. Free. November 16, 17, 18 7:00 am Surfing Tournament at Playa Zicatela. November 16, 17, 18 7:00 am to 3:00 pm Fishing Tournament at Playa Principal. The best time to be there is from 1:00 to 3:00 pm. It is a tradition at the end of the event to have fresh fish there. Saturday, November 17 9:00 am Chess Game Tournament Registration fee. Sunday, November 18 8:00 pm Folklore National Dances at City Hall. Free. Tuesday, November 20 8:00 am Día de la Revolución Mexicana Revolution Day Parade starting at the Market. Ask Gina for the best location to watch the parade. Friday, November 23 10:00 am Art and Craft Exhibition and Painting at City Hall. Will remain until the evening of November 25. Free. November 24 & 25 8:00 pm Festival Costeño de la Danza at City Hall. 25th anniversary. Live music, arts, crafts, and food. Free. Saturday, November 24 2:00 pm Horse Race at Pisto Aeropuerto. Entrance fee. Friday, November 30 8:00 pm Concert and Closing Ceremony On Playa Zicatela. Concert with Ha-Ash and Elefante marking the end of the Fiestas de Noviembre. Additional events will be posted here when available and at the tourist Kiosk in the Adoquin (where you will find Gina, the Information Goddess). You can also call Gina at (954) 559-5518 (Mexico). See photos from the 1999 events. See photos from the 2007 events.